NOTE: M-Tech recommends doing these steps after you have completely setup your computer and have nothing left to do. These tweaks will finish with a complete system image to restore back to in case of corruption to your drive. So you will want to make sure that nothing more is left to be done to your system before completing the System Image. M-Tech Laptops secret weapon is it quality, it gives tremendous speed and longevity to the same configuration that may disappoint laptop owners of other brands. Still, every secret weapon has a good amount of ammo to make it even more effective. Here is a list of tweaks that can make the fastest computer ever even faster. Instead of posting instructions to perform the tweaks, we are listing links to allow you to review if the tweaks are indeed something you want to proceed with. Many tweaks give you speed at the cost of a Windows function that you may choose to keep. There is no free lunch, every feature of true worth costs your computer resources, AKA speed. So, here are links when available to give you the understanding to choose to ignore or apply tweaks that can make the worlds fastest computer even more responsive. We hope you also appreciate the work the authors of these web pages went thru to bring you these tips. Tweak 1: Turn off Indexing, it hogs resources and your speed. Should you turn it off, here is a great page to help you decide and instructions to turn it off. Tweak 3: Turn off Windows fast Startup. Every time you turn off your laptop to travel or to perhaps clear errors or commit changes to your system, you may wonder why the fail-safe method of rebooting doesn't seem to help much. The reason is you are not really turning off the computer but instead Windows has let it slip into Hibernation. Hibernation mode has a long history of being awful. Even if Hibernation doesn't hang you up sometime in the future it will hog up huge amounts of your primary drive with what is named hiberfil.sys file. (Don't bother finding it, they have it hidden) As you likely know, if you talked to a technical adviser, you already know how disastrous exceeding the	half-full mark of your SSD is to your speed. You may think your drives used space is below the 50% mark but not realize that hibernation is secretly stealing your drive space and taking you past the 50% mark. So here is our quick instruction to turn it off. 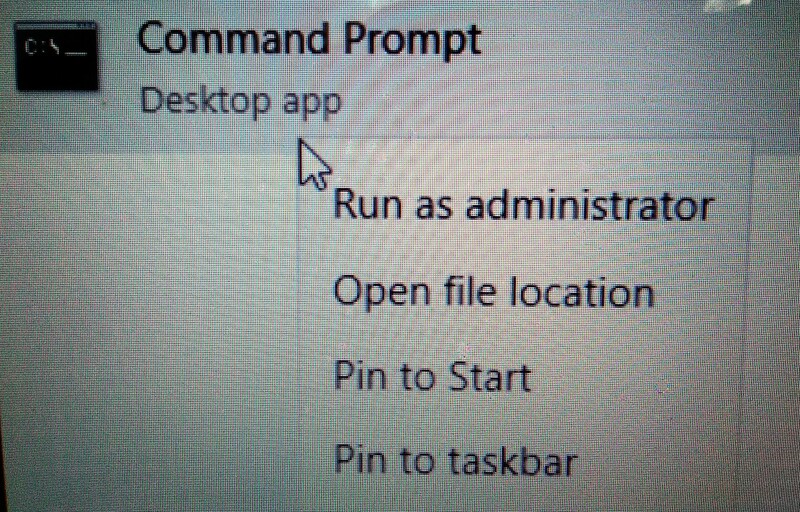 Now you have a command line prompt open on your computer. type CD.. then hit enter.Type CD.. again then hit enter. You could now be at the base C:/ prompt. Now just paste powercfg.exe -h off and hit enter. That is all you need to do. Keep in mind, that many major updates from Microsoft will turn this feature back on, so you may want to perform this quick task after every major update. Now you should verify your data was moved and the original directory no longer exists on the C drive. If it is still there it may be because Windows is using it for system files. This is fine as long as your data is moved to the new location. 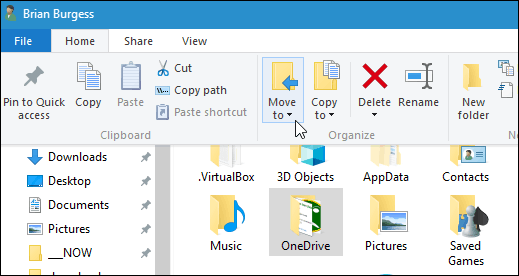 To get started, right-click the OneDrive icon in the system tray and choose Settings. 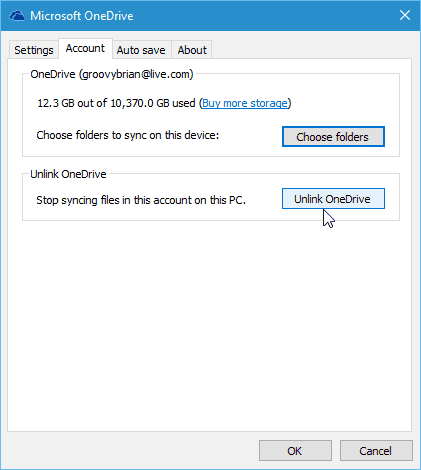 Then unlink OneDrive from your PC. 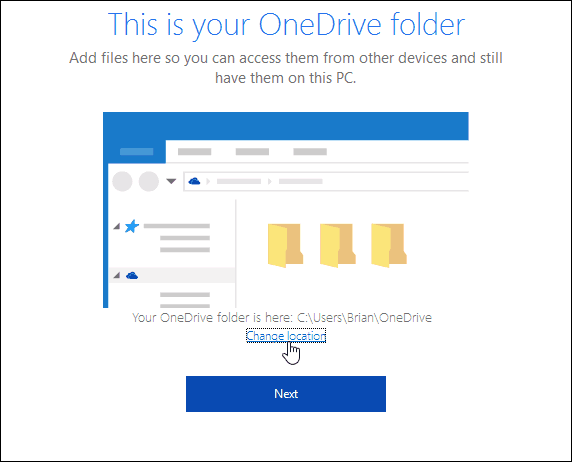 The screen to sign back into OneDrive will come up, but ignore that for now. 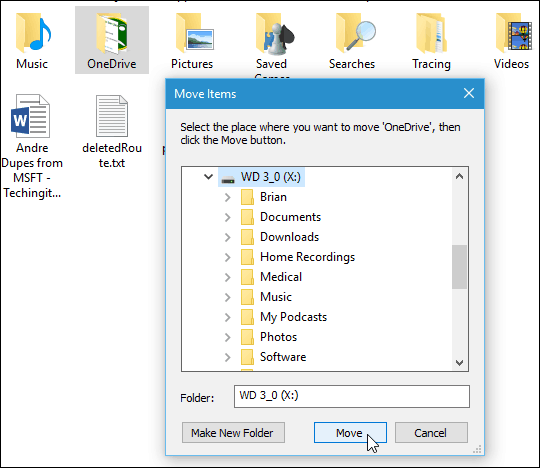 Select Choose location from the drop-down menu to find the external drive I want to move it. 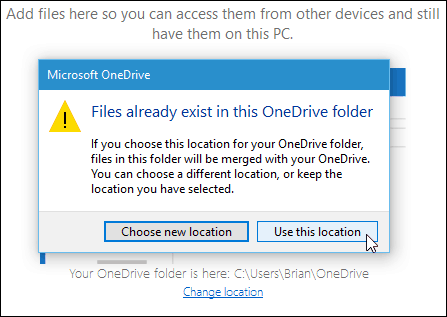 When this dialog message comes up, just click Use this location since your data will be merged. 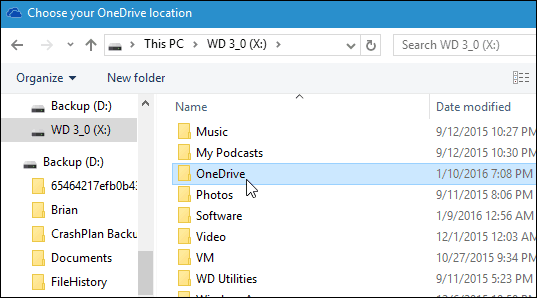 If you donâ€™t want to move the OneDrive folder location, another thing to consider is changing the folders youâ€™re syncing to your PC. Tweak 5: Turn off visual effects to gain back some resources, Like everything else, you have to choose to either look good or feel good. In Windows, trying for both typically fails. Follow this link for a decent explanation of how to choose one over the other. http://www.thewindowsclub.com/disable-visual-effects-windows While you have the Window option open to make this change, you will want to keep it up on your screen for the next tip. Tweak 6: Pagefile Disable or Move. While the debate of whether to turn off page filing altogether may never be settled, nobody disagrees that if you have a 2nd drive and it is an SSD, you can boost performance by telling Windows not to use the already overworked C drive as your virtual RAM drive and Pagefile drive. Move that resource from the C drive to a fast SSD or super fast PCIe NVMe drive and you not only free up valuable space from your C drive and eliminate excess writes from it but you also speed up your entire system when you have started to run low on RAM resources. Here is a link to a graphically based instruction then we will include a text version. 1: While you are still in the Control Panel window you opened to choose Best Performance over Visual, you are also where you need to be to make this change. The next tab over that says Advanced, then within that window choose Virtual memory. 2: Un-check the "Automatically manage paging file size for all drives setting (Win 7). 5: Click on 'No paging file'. click 'Set' click OK. Tweak 7 If you plan on using power hungry programs then it behooves you to adjust how Windows manages your power. There are two options here. Power options and Power Plan. Power options let you choose when and how your laptop chooses to sleep etc.. Power Plan however actually controls how much energy is allotted to things like your CPU, Video, and drives. Leaving this balanced or power saver will short-circuit the performance of your program. especially Dragon NaturallySpeaking. Test and score your computer: It is a good idea to have your laptop scored. Windows 7 users can have this done just by going to Control Panel/System but Window 8 and 10 users lose the nice easy graphical means to see there score but the testing method to compare your laptop to other Window computers still exists. here is how. Open an administrative command prompt (Do a right click on CMD and open as admin) and type winsat formal -v - xml c:\winstatresults. xml This will run the full formal test in verbose mode and provide an XML output of the results. It is in the report, you will see the scores you seek. To see a little more friendly version of the scores go here for the report and view in an XML viewer. c:\winstatresults. xml If you want to run just a subset of the tests, type winsat /? see all of the arguments and options. How to interpret the score: Here is a link from Microsoft to understand your systems score. According to the article says 5.9 but it really is 7.9 is the highest possible score and within Win 7 you would never get a final score of 7.9 because the tests had to leave room for faster systems. You will see 7.9 hardware sub-scores but not a final score. When you see scores over 7.9 you will recognize that these are not hardware score but software scores. The score above is a system that is now four years old, a testament to the speed you get when you focus on	quality. In any event, Microsoft declares any system that the lowest score is 6.5 or above to be a Extreme System. FYI, no computer would be let out of production if it had a score of 6.5. 99% of M-tech Laptops will score 7.7 or better. Running this score now and saving it for future use is a good way to know if you are experiencing hardware issues or software issues. if your scores are still high across the board yet your computer runs funny, you know the issue is with software or settings and not the computer itself. use this test to prove to yourself and others that your laptop is still in good shape. Final thoughts: The internet is full of other modifications that can personalize your computer. if you have a specific reason to seek these out, then go for it. Before making those changes though recommend making a system image to lock in your known good configuration. Just type in the search windows 'Backup" and a option for Windows 7 backup and restore will appear. Choose it and then on the left hand side of that window, choose System Image. It will do the rest for you. Just follow along and save the drive you consider perfect to the 2nd or even 3rd or external drive, this way if you go too far in enhancing your computer you can easily roll back 100% to the point where you felt everything worked fine. Good luck and don't feel shy about asking for advice.